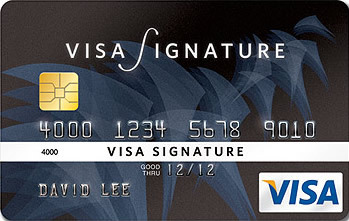 Visa Black is a Platinum Plus card, which is below Signature. It doesn’t give you any VIP benefits from Visa at all. Any “exclusive” benefits that are advertised are provided by the issuing bank (Barclays Delaware) which is the one charging you the $495 fee. Not Visa themselves. Visa will not let a “Visa Black” cardholder use their concierge, nor do they qualify for hotel and car rental benefits that Signature members receive. It’s simply a private business run by a private company, for which the purchase fee is $495. incorrect. it is higher than sig. not sure where you get your info from. The Visa “Black Card” is nothing more than a souped up Visa Platinum offered by Barclays Bank. When you get “accepted”, you first get a statement billing you for the $495 invoice. After you have paid the $495 than you get your ‘black card’ after a month or so. Minimum qualifications is $15,000 annual income and a FICO score above 590. It’s “exclusively” offered to 1% of the population – meaning 3,000,000 people. 3,000,000 imbeciles paying $495 = $1,485,000,000 in annual fee income to Barclays. One easy way to tell this scam, if you were dumb enough to have paid already, is to call the Visa Black Card’s concierge service. Anyone who had used a Signature or Centurion concierge service will note the difference immediately. My wife’s ex-husband’s girlfriend has what he called a “Signature Black VISA Card”. We were wondering what her annual income and net worth was. Just for $*it$ & giggles. I called up and they said my annual income had to be only $15,000. Our credit score is high. We have a no annual fee credit card where we get miles and the interest rate is decent. Why would she or anybody get this? Are the bennefits worth $495/yr? What gives?